President-elect Donald Trump’s nominee for labor secretary, Andy Puzder, CEO of CKE Restaurants and subsidiaries Carl’s Jr. and Hardee’s, could pave the way toward business deregulation. While there are many layers to his appointment, Puzder has taken strong anti-labor stances, long decrying California’s minimum wage policy and other regulations that he claims have driven businesses out of the state. Puzder is, in fact, in the process of moving CKE’s headquarters from Carpinteria to income-tax-free Nashville, Tenn. The head of CKE has been outspoken in his opposition of California’s onerous business environment, including its new overtime labor rules and minimum wage increases. The polarizing figure aligns with the rest of Trump’s other appointments, said Bruce Anticouni of Anticouni and Associates. The Department of Labor’s mandate to sharply raise the level for overtime exemption to $47,476 a year will likely be reduced, said Jonathan Fraser Light of LightGabler. A federal judge issued an injunction that blocked the rule that was slated to take effect in December. In his blog, Puzder claimed that California’s strict business regulations and high taxes have stifled economic growth. The Affordable Care Act is increasing labor costs while rising premiums reduce discretionary incomes, he said. That being said, Puzder’s impact on a statewide and regional level will likely be minimal, sources said. 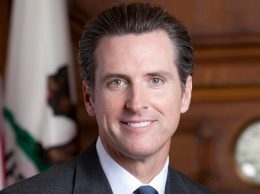 “Whatever the feds do to ease the burden on employers, California will hold the trump card because if the California regulations give more favor to the employees, that’s what employers are stuck with,” Light said. Employers that can move are doing so, Light added, saying that four of his clients have left the tax-heavy California for other states. Puzder also noted that minimum wage hikes are leading to more automation. He prefers an earned income tax credit over minimum wage, a program that supplements incomes of the working poor. The earned-income tax credit could appeal to both the left and right, said Michael Latner, Cal Poly San Luis Obispo associate professor of political science and director of the Master of Public Policy Program. The short-term consequences of a Puzder labor secretary will be bad for labor and opposed by unions, Latner said. But there is a silver lining in that when there is someone who is so polarizing, there is opportunity to find some common ground, he said. California is so completely at odds with Trump that it may be smart to get someone from the state in his Cabinet who understands California and how dependent it is on agriculture, water and trade, Gooch said. It could be setting the table for a protracted legal battle, he said. 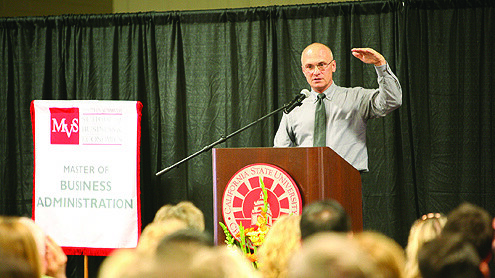 Regardless of his views on policy, Puzder joining the Cabinet would be a momentous benchmark for the tri-county region, said Joshua Geffon of Stradling Yocca Carlson & Rauth. “This is extraordinary. Having someone in the President’s Cabinet from our community is a significant development,” he said.